Recently I’ve been rejected. A lot. As in, even the Armpit of Nowhere Review won’t publish my work. 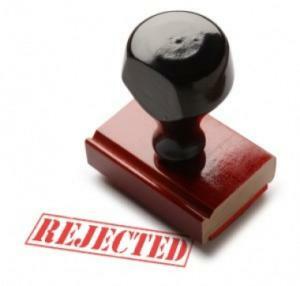 I’m a veteran writer, and as such, I’m used to getting my fair share of rejections. In looking over my Submittable queue recently, it was revealed to me that roughly 10 percent of my poetry submissions have been accepted over the years that I’ve been using the service. So, it stands to reason I’ve got a pretty thick skin — that kind of pathetically slim acceptance rate necessitates one. But here’s the part that has me concerned: This latest round of rejections comes after a sort of evolution in my poetic style. Such diction alterations happen every once in a while — a poet decides that the old way or the old materials have grown stale, and so a few shiny new features begin to assert themselves in his or her work. Sometimes these changes can be good; other times, they denote the death-knell of the artist’s career. My suspicions about this latest round of rejections have me speculating about possible causes. The poems themselves, by all measures of quality and integrity, are fine pieces. They are well put-together, and would receive workshop table praise from people whose voices I respect. And I understand that often, rejections are not so much a comment on one’s work as they are a byproduct of space constraints and other factors. Still, I sense the culprit must be something abstract, something subterranean. Suspect number two: Divergent interests. I have been spending much of my time recently pursuing excellence in other areas of my life. I’ve dabbled in nonfiction, I’ve made my teaching more robust, and I’ve even started doing a young adult novel podcast with my oldest son. More on that later. These other pursuits, while valuable, could easily be sapping the creative juice from my poetry, however, and I’m wondering about the effects of laurels from other non-poetic enterprises — are the rewards from these endeavors silencing my usual muses? Third and final suspect: Age. I’ve found myself becoming more curmudgeonly toward the opinions of “experts” in the literary realm, and more disparaging of modern poetry. Maybe I’m becoming that weird old guy in the poetry world who yells “Get off my lawn!” to the avant-garde. I’m over 40, and let’s face it, that’s the age when a lot of poets have made their greatest contributions. I know, I know: There’s a whole cadre of people who didn’t really come onto “the scene” until their twilight years. Good for them. There’s also a vast wealth of people who were bright and shining stars in their youth, though, and for yours truly, that ship has sailed. My only “over the hill” option is to stick around and hope that perseverance pays off, as my mentors have often assured me it will. In the meantime, I fear that one or more of the above-mentioned factors has resulted in some loss of my stylistic “touch:” the intangible characteristic that sets apart the work of memorable authors. I’d like to try reverting to my MFA-minded self — that individual who sees inspiration everywhere and burns to make people feel the pleasant vertigo of poetic rapture. I’m not sure I can find him again, or that it would be at all appropriate to do so. Perhaps these latest rejections signal that it’s time to call in the dogs and turn out the lights, as the old saying goes. The first part of Marianne Moore’s “Poetry” could have been right: “…there are things that are important beyond/ all this fiddle.” I recall how the rest goes, and I draw inspiration from her conclusion, but maybe a respite of sorts is in order. Stepping back from the page could be just the thing that my writing needs; call it a brain break from heartbreak. Farewell for now, poetry. I’ll be back when I just can’t possibly stay away any longer. I’ve written before about my “rejection practices,” but this little tidbit deals more with a specific type of rejection: the expected one from the MAJOR magazine. Today in the mail, I got a rejection slip from a powerhouse national magazine whose literary prominence is known far and wide. No personalized notations were on this slip, and of course, I hadn’t really anticipated any. My main motives for annual submissions to huge magazines with slush piles the size of Everest are twofold, really: 1. Doing so keeps me humble, and 2. It gives me some sense that my work has been in front of influential editors, even if they did reject it. This next statement sounds terribly snobbish, but honestly, the proficient poet becomes accustomed to better-than-average acceptance rates from smaller literary magazines. When one sends work predominantly to fledgling journals and up-and-comer markets, acceptance and kind words become a fairly regular occurrence, with a few apologetic rejections along the way. Editors, for the most part, are appreciative to receive your work, and you as the writer are pleased to be published. It’s a great relationship, and one I never take for granted. Certain writer friends of mine have this conspiracy theory that big-time mags rotate off the poems of about 12 different renowned writers each year, and that any submission from someone without name recognition is immediately dismissed without a second thought. For now, I remain optimistic that editors and publishers are serious when they state in their guidelines that they are “devoted to discovering new voices.” Truthfully, if I were in their positions and I had to choose between rockstar fellowship winners or Joe Blow the small-town unknown, I’d probably make the same decisions they did: Publish the identifiable, decline the struggling. Empathy doesn’t make the rejection sting less, but at least it allows some justification. My hope, of course, is that one day the tide of rejection from the “big boys” will stop, and I will finally be among the elite who manage to have their work carried in the prestigious pages of historic, culture-defining publications. For now, my small-time successes (see prior posts) sustain me and encourage me to keep going. Equally appreciated are the small magazine editors who reject work with thoughtful feedback, as well as the ones who accept my work with gratitude. Some of the best critiques I have ever received have been from the desks of truly devoted editors at college or “little” magazines. Their input has been invaluable, and hopefully, their refining suggestions will lead to bigger and better things as time progresses. For now, I have work to improve and send out, and for tonight, that’s enough.